If you've wanted to get into great shape but haven't succeeded yet, maybe you just lacked the know-how! In Lawler’s Fitness and Self Defense classes we'll quickly show you exactly what you need to do to get in the best shape of your life! Our program really delivers with a combination of Fitness and Self-Defense! Using this powerful combination of we'll have you kicking and punching your way to a perfectly toned body in no time at all! We challenge you to find a qualified team of Black Belt Martial Arts instructors elsewhere who can deliver on this promise! YOU'LL HAVE TONS OF FUN GETTING IN THE BEST SHAPE OF YOUR LIFE AT LAWLER’S TAEKWONDO! Our Fitness and Self-Defense classes at Lawler’s will have everyone you know asking what you're doing to lose weight and get into shape & we guarantee it. With every class, our Black Belt instructors will have you doing more and more igniting your inner fire and melting away the outer fat faster than ever. The best part is, you don’t have to be a perfectly in shape athlete our program is designed for anyone, beginner to advanced! Enroll Today! 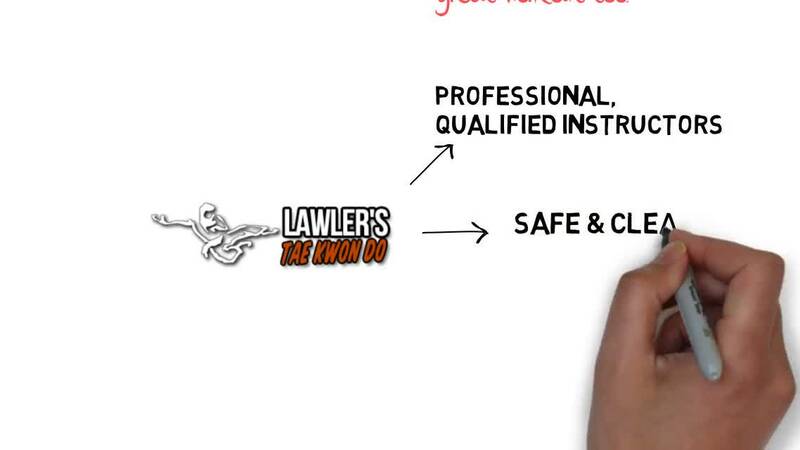 Get Fit & Protected At Lawler's Tae Kwon Do In San Bruno!